A simple, yet blissful theme depicting the ripples of the ocean. 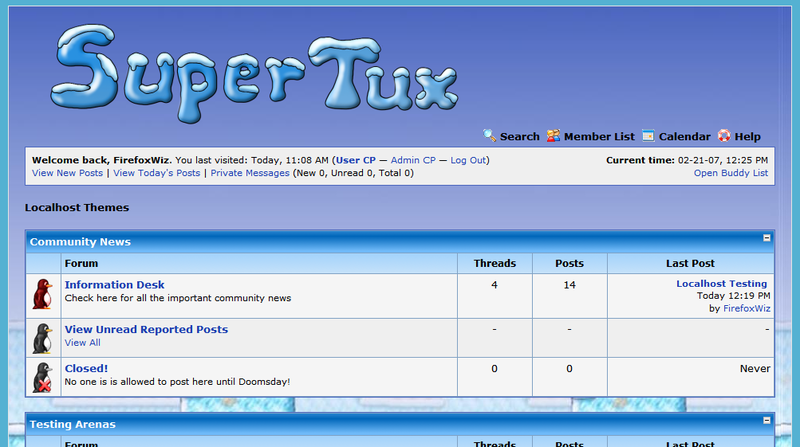 This is a conversion from ZB to MyBB. 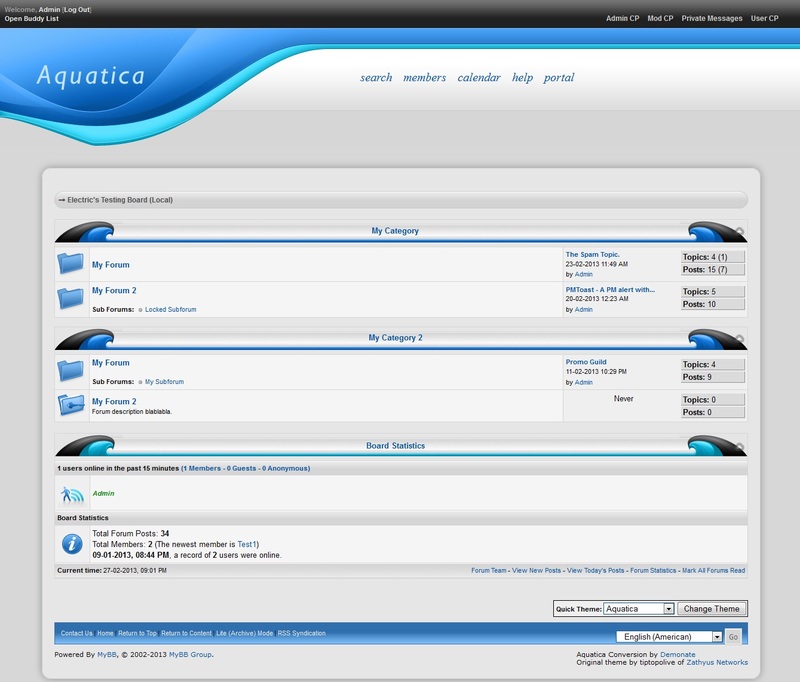 Original theme Aquatica is by tiptopolive of Zathyus Networks Resources. This is based on the curves and waves of the ocean, simple, natural, yet colorful, this theme was designed to make people feel bliss. effone' pid='671' dateline='1358246035 Wrote:I'd like to mention, Electric Shock has written permission to convert the theme from original ZB author.